If you are planning decking for your garden, then you have two main choices before you. Do you opt for composite decking, or do you opt for decking made from timber? To help you to make an informed decision, below you will find a handy overview of the differences between composite decking and timber decking and the relative advantages and disadvantages that these two types of decking bring with them. Timber decking is often considered the more traditional form of decking. It is made from lengths of wood, cut to size and treated with weatherproof coatings, stains and (sometimes) paints. 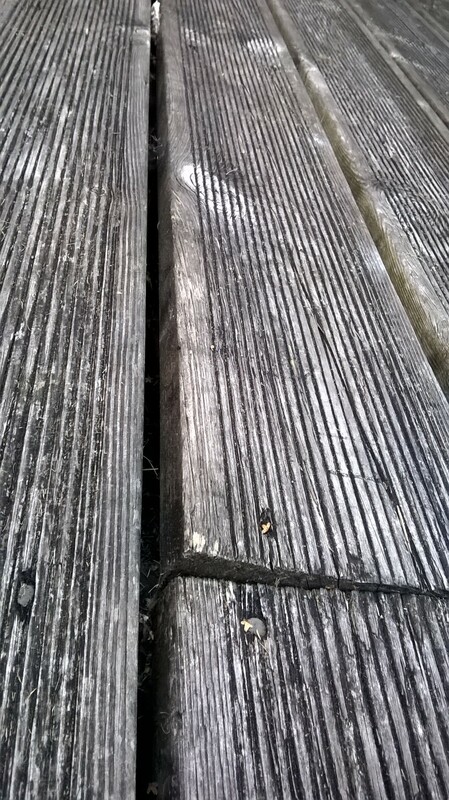 Timber decking has a nice and natural feel, however if it is not weatherproofed properly it can be susceptible to rot. This type of decking is called ‘composite’ because it is made from a mixture of wood and some other material. That other material might be plastic, it might be recycled paper – it could be something else. Composite decking is often deemed to be the more eco friendly option, because it is typically made from recycled plastics and recycled wood that would otherwise have gone in to landfill. In addition, the use of plastics in composite decking makes them more weatherproof and less vulnerable to mildew, damp and rot. However, composite decking can be pricier than traditional timber decking. That said, many cost effective forms of composite decking do exist. Is there an aesthetic difference? Some people choose timber decking because they love the look of the grain in the wood and the knots and patterns that natural wood creates. Such natural forms are not present in lengths of composite decking. However, if you are going to stain, paint or otherwise treat your decking, you will find that there is really little difference between timber decking and composite decking in terms of appearance. The bottom line: which type of decking is best for you? If you hanker after the appearance of natural wood, or if you are on a tight budget, timber decking may be the best option for you. However, if you are looking for a decking option that is durable, more weatherproof and eco friendly too, then it is a very good idea to look in to composite decking options. Whilst these two types of decking may look the same when treated, composite decking will usually last much longer.